In conjunction with several world leading LED manufacturers and other stakeholders in the field, MechaTronix whole heartedly supports the emerging Zhaga industry standard. To that end, many off-the-shelf MechaTronix heat sinks - passive as well as active - are compatible with these Zhaga specifications, making them instantly ready for assembly with Zhaga designed LED engines or secondary optics, such as lenses or reflectors. Despite Zhaga’s efforts, the international market still offers a great diversity in unique mechanical formats for LED engines. MechaTronix appreciates the need for LED coolers to be modular plug and play components, matching all varieties of LED engines and secondary optics. Not surprisingly, MechaTronix has been able to forge strong alliances with - and establish specific heat sink ranges for many leading LED manufacturers. Amongst these are the likes of Bridgelux, Citizen, Cree, Edison, GE Lighting, LG Innotek, Lumileds, Luminus, Osram, Osram Opto Semiconductors, Philips Lighting, Prolight Opto, Seoul Semiconductor, Sharp, Tridonic, Vossloh Schwabe and Xicato. Countless hours of compatibly testing enable us to present you with complete and validated thermal data of all feasible combinations of heat sinks and LED engines. 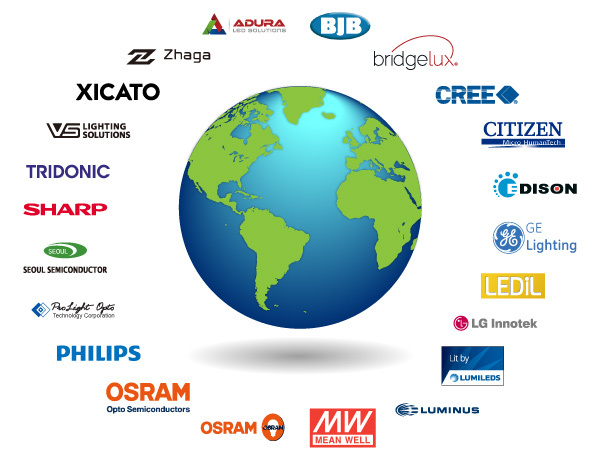 As a result of these efforts, MechaTronix has found a score of LED manufacturers and other specialist parties in the business to form ECO partnerships with. The mutual sharing of data and R&D and the adherence to Zhaga specifications comes with great benefits to all involved, not forgetting the end users. MechaTronix now is being endorsed as the preferred brand of heat sinks within these ECO Partnerships, guaranteeing a perfect mechanical fit, reliable thermal performance and an overall aesthetic design.